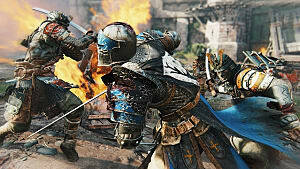 For Honor is a unique fighting game that has several characters and modes to choose from. The fighting involves blocking or parrying attacks at the right moment, and attacking your opponent where they aren't blocking. This leads to a highly skill-based game. Starting out in this game with no knowledge is pretty overwhelming, but I'll make it easier for you to get started. The game is currently in Open Beta, so this guide will updated for any changes on official launch. Combat Basics - General fighting knowledge about the game. Game Modes - The different game modes and how they work. Heroes and Customization - The different heroes and how you can customize them. 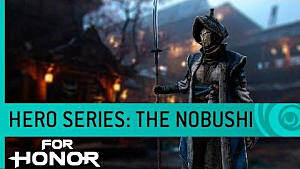 The main combat in For Honor involves blocking the direction you enemy attacks from, and attacking a direction they aren't blocking. You can block and attack in 3 directions: left, right, and above. There are 3 types of attacks you can do: light, heavy, and zone. Light attacks are quick and can usually be linked into combos. Heavy attacks are slower, but deal more damage. They can also be parried by using your own heavy attack in the same direction your opponent attacks. Finishing an opponent with a heavy attack allows you to perform an execution. You can cancel a heavy attack by pressing the specified cancel heavy attack button depending on your controls and the platform you play on. Zone attacks are area attacks and can be done by pressing both the light and heavy attack buttons at the same time. You can guard break by pressing the guard break button. This will leave the opponent vulnerable to an attack. If you double-tap the guard break button, you will throw the opponent away from you. There is also a dodge button when blocking or parrying won't work. Assassin's can deflect by dodging, but more on that in the character section. There is more advanced knowledge to know, but it differs for each character. I highly suggest you play the in-game tutorials and practice modes as well. As you attack and dodge, you will run out of stamina. Once the bar empties completely, you will have to wait for it to recharge. During this time, the bar will turn gray, and all your attacks will be slower and weaker. Run away or block until your stamina refills completely. Attacking will your stamina is gone will stop it from recharging. When you block or get hit by attacks, the Revenge meter fills. If you get hit enough, you can activate revenge. This makes your attack stronger and uninterruptible. There are currently 4 multiplayer game modes, and 2 different styles of game play. The first 3 are fairly similar -- Duel, Brawl, and Deathmatch. Duel is 1v1, Brawl is 2v2, and Deathmatch is 4v4. These are the number of players that fight against each other. You can play against other players or computer-controlled bots. The Duel and Brawl modes are just fights to the death with no other enemies other than Heroes. Deathmatch is a little different as there are 2 types of game modes, you can use Feats, and there are power-ups on the map. Feats are class specific passive abilities that unlock as you get kills. Elimination Deathmatch is like Duel and Brawl except 4v4. Skirmish is 4v4 but there are some enemy soldiers on the field as well as other heroes. When you get to 1,000 points, the enemy will "Break" this means that they cannot respawn and if you kill all their heroes, you win. Dominion is a very different type of game mode. This is a 4v4 game mode that has 3 points on the map to capture. Point B is always in the middle and this is where enemy troops fight on each side. These troops are easy to kill and if you kill enough of them, your side will gain the advantage and take over B. You can also use feats in this game mode. There will also be a story mode when the game officially launches. These are challenges you can complete to gain extra experience and money. There are daily orders, and contract orders. Contract orders are those you choose to complete, and you can set 3 at a time. When you complete 1, replace it with another. This is the big part of the game and what takes the most knowledge, skill, and dedication. Every character is different, so you can't get by with basic knowledge alone. I highly recommend trying out the characters until you find one you like the most, then stick with that one for a while. There are 3 different factions and 4 heroes for each faction. When you start the game, you must select a faction to fight for. You can fight with any character you unlock, regardless of faction, but your faction determines who you fight for in Faction Wars. 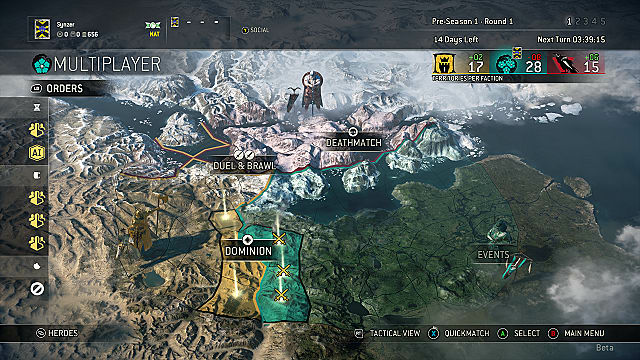 Faction Wars is a persistent fight between all 3 factions to claim territory. 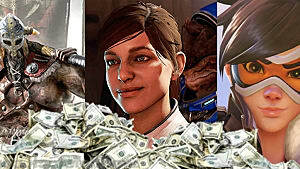 It involves all multiplayer fights, including against bots. You gain War Assets after each match, based on how well you did. The war is separated into Territory Updates, Rounds, and Seasons. At the end of each Update, the faction with the most War Assets in an area will gain control of it. At the end of each Round, all players who participated will get a reward depending on the rank of their Faction. At the end of the Season, everyone gets rewards. 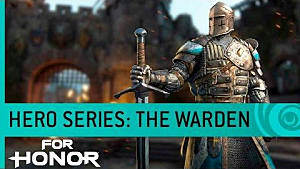 Warden - Vanguard character with a sword. Has basic controls and light attack combos. Conqueror - Heavy character with a shield and Flail. 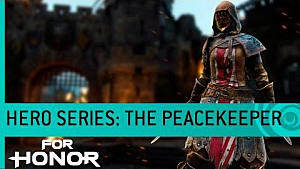 Peacekeeper - Assassin character that duel wields a sword and dagger. Has bleed attacks and can Deflect attack by dodging in the same direction as the attack. Lawbringer - Hybrid character that uses a Poleaxe. Raider - Vanguard character that uses a giant axe. Has charges, stuns, and aimed throws. Warlord - Heavy character that uses a sword and shield. Has great defense and the ability to block attacks from all side by using stamina. 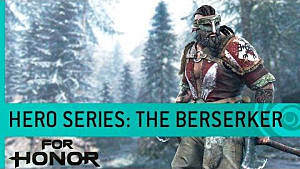 Berserker - Assassin character that uses 2 axes. A fast, aggressive attacker that can do continuous combos. Can also Deflect attacks. Valkyrie - Hybrid character that uses a spear and shield. Keeps enemies off-balance and can use shield to attack. Kensei - Vanguard character that uses a long katana called a Nodachi. Has unblockable attacks and good range. 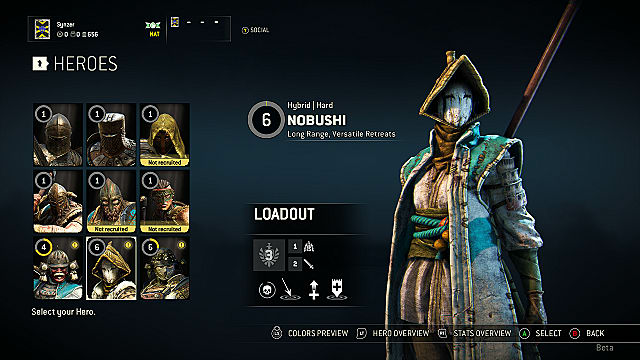 Nobushi - Hybrid character that uses a spear-type weapon called a Naginata. Has the longest range and can keep enemies bleeding with stab attacks. Orochi - Assassin character that uses a katana. Can dodge into faster attacks and deflect attacks. 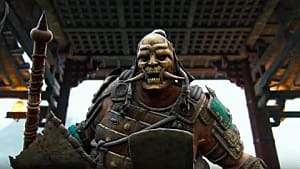 Shugoki - Heavy character that uses a spiked club called a Kanabo. Has an uninterruptible stance and light attack. High health, but slow movement and attack. Each hero can also equip gear in weapon, chest, arms, and helm slots. These will increase a stat and lower another. An example of this would be a blade that increases attack, but reduces stamina cost reduction. 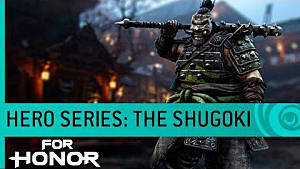 Check out my full guide on For Honor Gear Stats for more details. 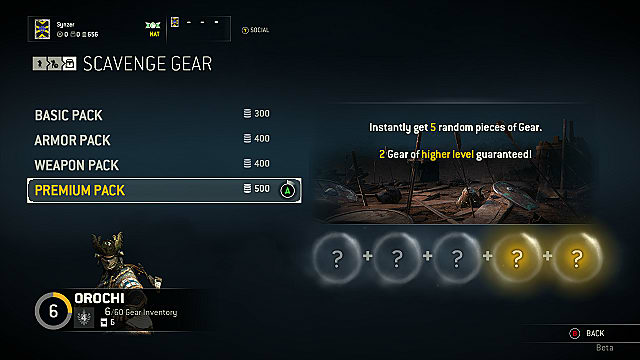 You can get gear at the end of matches, or by using Steel, the in-game currency, to Scavenge Gear. You will only get gear at the end of the match for the character you played. You will only get scavenged gear for the selected character. You can also change the pattern, symbol and color of your gear. You can change your emotes, and feats if you have unlocked any. Every match you complete with a Hero will give experience to that hero. Get enough and you will level up. As you level up, you unlock more options. You can also customize your executions and use in-game currency, Steel, to buy more. 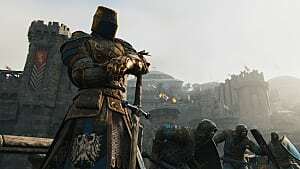 That's everything you need to know to get started in For Honor. Let me know if you have any questions!